Maha makes learning Arabic fun! She brings enthusiasm and her on-screen transcriptions makes her Arabic instruction easy to follow. Maha teaches phrases, cultural tips, colloquial dialects, and (most importantly) how to make Arabic bread. ArabicPod101 uses videos to teach you how to navigate real conversations and perfect your pronunciation. You'll also learn new words and cultural insights. Arabic Pod 101 breaks down the alphabet, teaches vocabulary with pictures, and has videos for different levels. Al Arab TV is a collection of TV shows from the Middle East. You can find Ramadan series from every country, as well as famous series like Arab Idol. 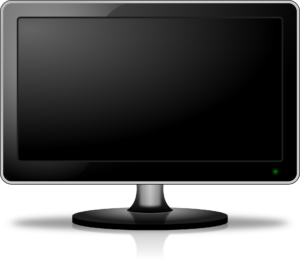 Sonara offers a large collection of TV shows, with the most recent appearing on the home page. You can choose by category or dialect, and—if you want to test yourself—it even offers news and sports coverage. Alaa Wardi is an A Capella musician based in Saudi Arabia. His fun songs are easy to understand, and have lyrics in both Arabic and English in the video descriptions. Khambalah is a Saudi comedy channel on YouTube. Spoken in the Saudi colloquial, it is quite funny, but only if you understand the cultural notes and the language. There is an option for English subtitles. La Yekthar is a Saudi comedy channel on YouTube. They speak very quickly, and there are no visible subtitles, so novice Arabic speakers beware. Aflam Foraten is a collection of movies from the Middle East. You can choose by genre (drama, romance, comedy, action), but it is highly recommended you have an ad-blocker on your browser. Sot We Soora is a collection of HD Egyptian movies and tv shows. You can find movies by actor or select the most viewed media. SWS offers tv shows as well, but you must buy membership to view them.